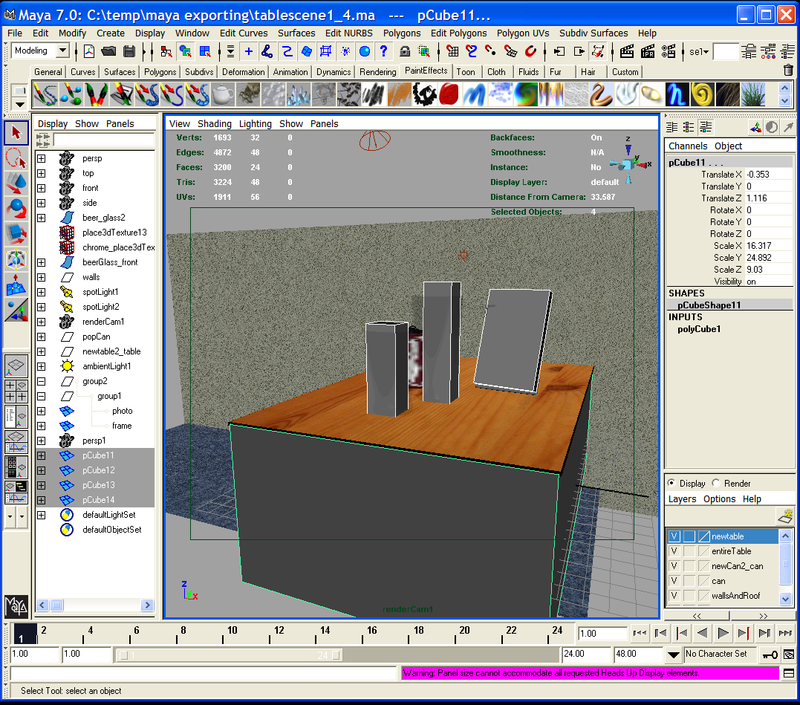 For my final scene, I modeled the meshes in Maya, a world-renowned 3D Modeling, Animation, Rendering, and Dynamics package. 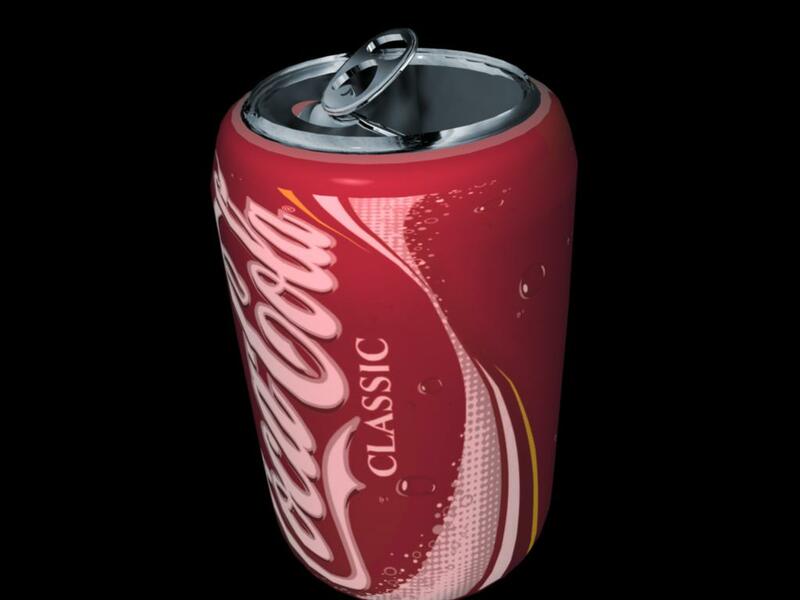 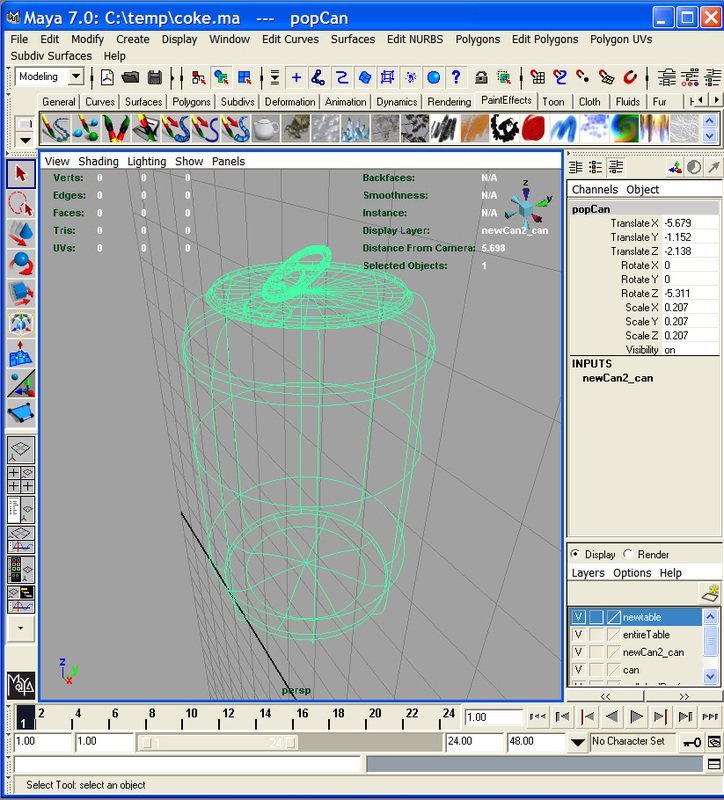 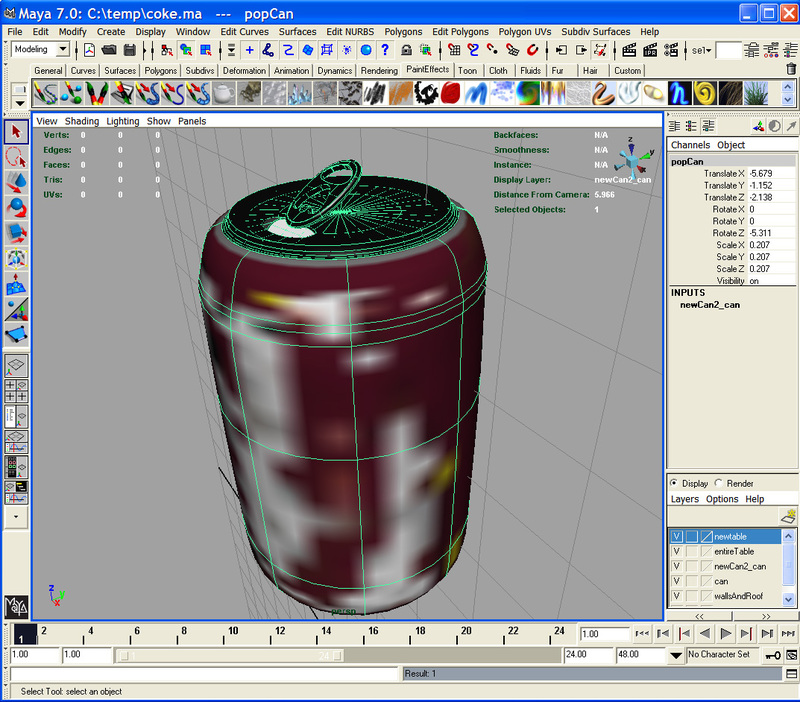 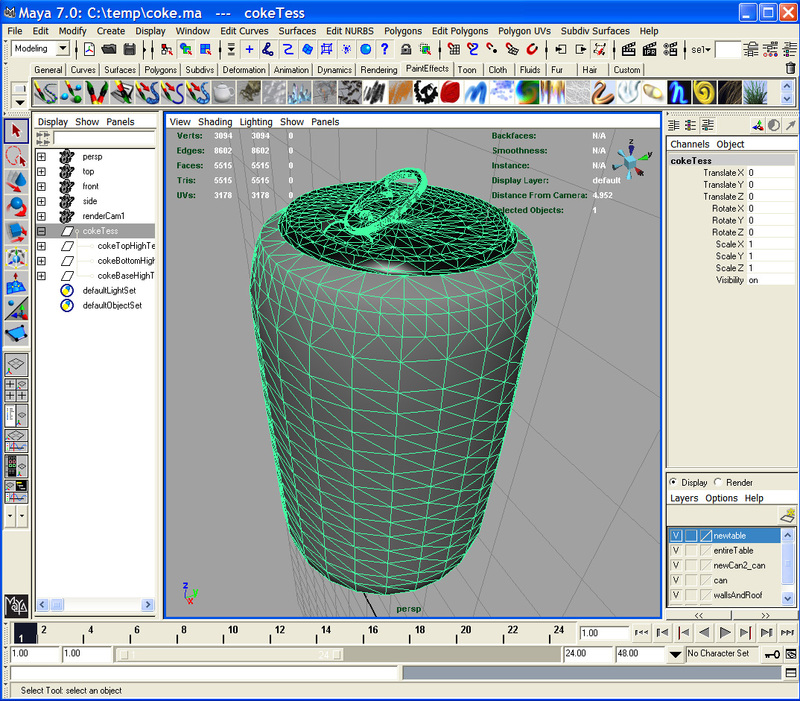 After modeling the meshes (Coke can and glasses in NURBS, table and picture frame in Polygons), I tessellated the meshes if necessary, and exported them with vertex normal and UV texture coordinate information to separate OBJ files. 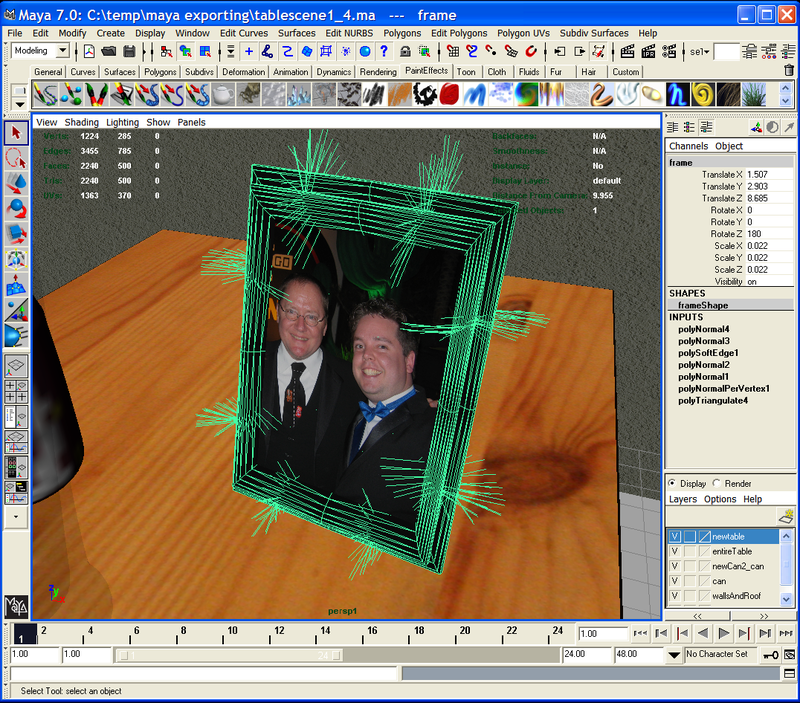 These OBJ files were then imported into my Raytracer. 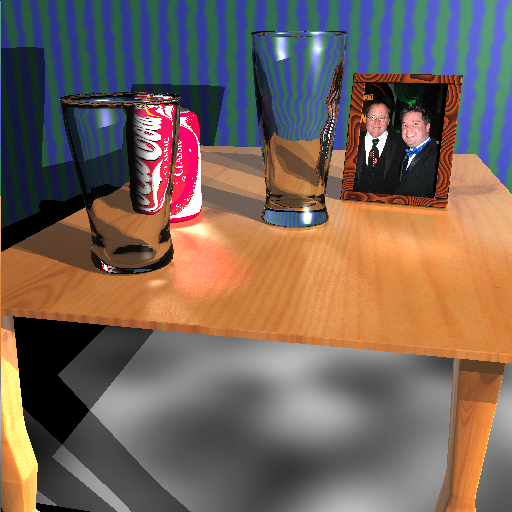 The final scene (no anti-aliasing) rendered in 25 minutes on gl22.student.cs with all of my optimizations. 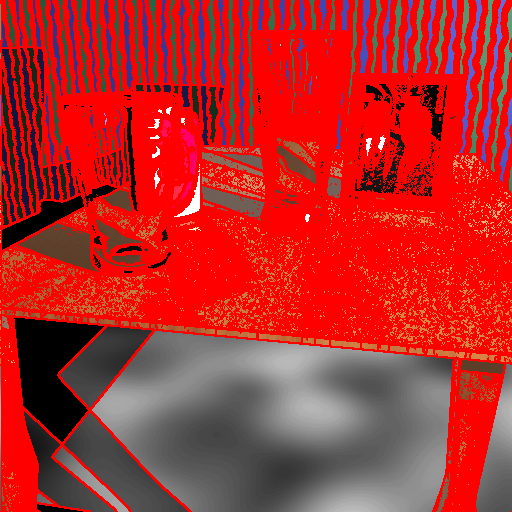 Since I had so much glass and fine detail, the Adaptive Anti-Aliasing code determined that approximately 51% of the image required Anti-Aliasing. 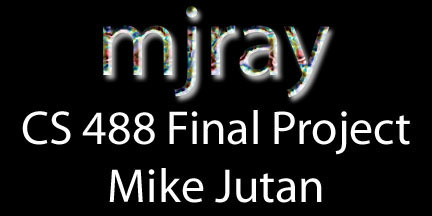 With Anti-Aliasing, the Final Scene rendered in approximately 9 hours on gl22.student.cs. 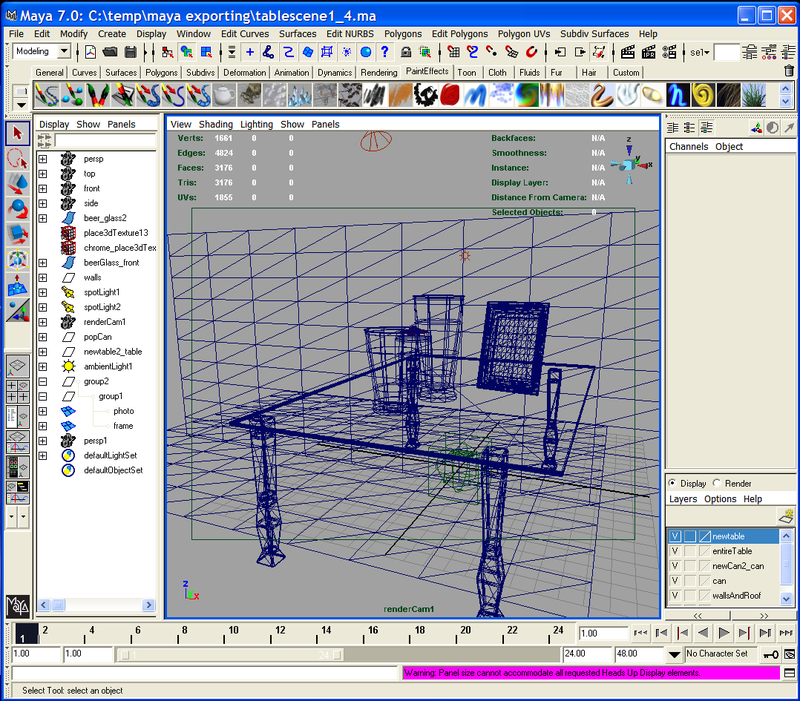 A photo of my living room coffee table! Also the edge of the table is here too. 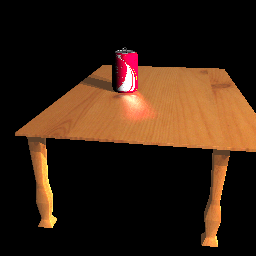 This was UV Mapped in Maya onto the table that I created, and then texture mapped in my Raytracer. 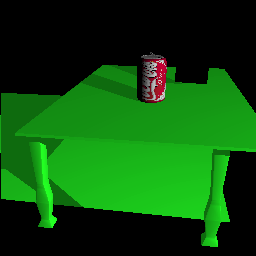 Final scene with NO anti-aliasing, rendered in 24 minutes on gl22.student.cs.